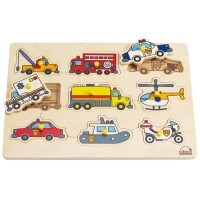 Each vibrant piece of this vehicles wooden puzzle comes with an easy-grip knob, so even the smallest hands can grasp each piece. Teach your little one the fun of travel! 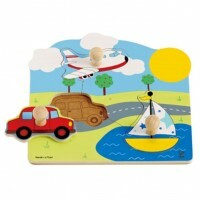 HaPe's On the Go Vehicles Knob Puzzle is a fun puzzle that's perfect for babies and toddlers. 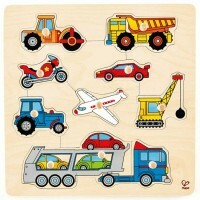 This durable Educational Toys Planet's puzzle features chunky and colorful car, plane and boat puzzle pieces. 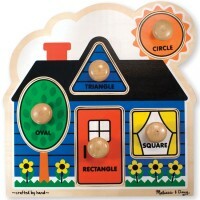 Each vibrant piece also includes an easy-grip knob, so children with the smallest hands can grasp each piece. 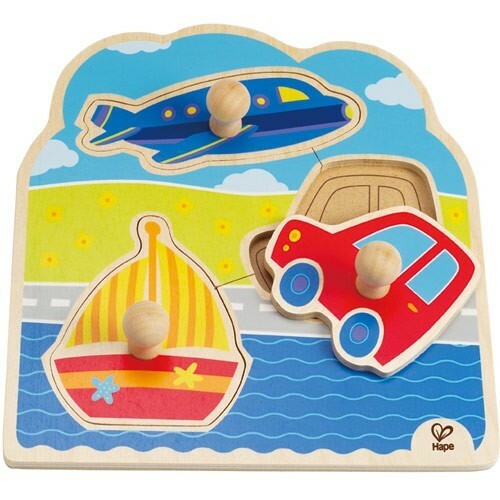 Place the plane in the sky, the car on the road and the boat in the water. As your little one learns about different travel vehicles, they will also enhance their fine motor skills, problem solving skills and dexterity. 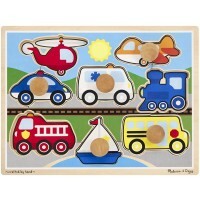 The On the Go Vehicles Knob Puzzle by Educo is sure to become a kid's favorite first puzzle! 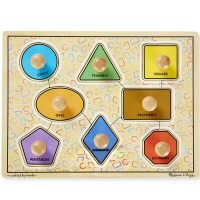 Write your own review of On the Go Vehicles Knob Puzzle. 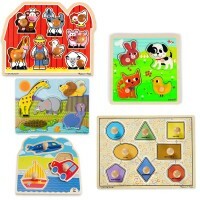 Rating: 5 Another great toy for little fingers by Granny I gave my grandson the whole set now. He loves these puzzles.